Some introductions to certain stories can be totally strange. Get this: A burger chain, two employees and liquid nitrogen is one of the weirdest combos around. Maybe I’m off track here; Glory is our heroine to this tale. Her quest is to help her friend Red. The man has cancer you see and it’s a money issue. The things people do for money will surprise you. 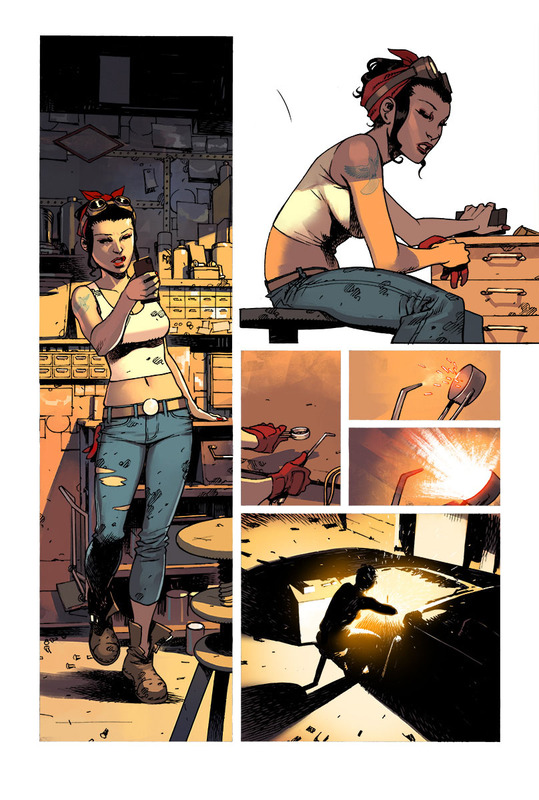 Death or Glory is a new series by Rick Remender and artist Bengal. It’s story we’ve probably seen once in while. Bengal isn’t an artist I’m familiar with seeing. His work is absolutely stunning. There are a serious variety of panels that change throughout the book. His illustrations create an excellent atmosphere for the book. A chase, a policeman and a truck end this story with surprise ending that brings us back to why the story started where it ended. Glory isn’t the typical lead character considering her story goes so far astray from the plan. It does put us on the path to buying the next issue though.